long white tray bombay REVOL. White porcelain tray. 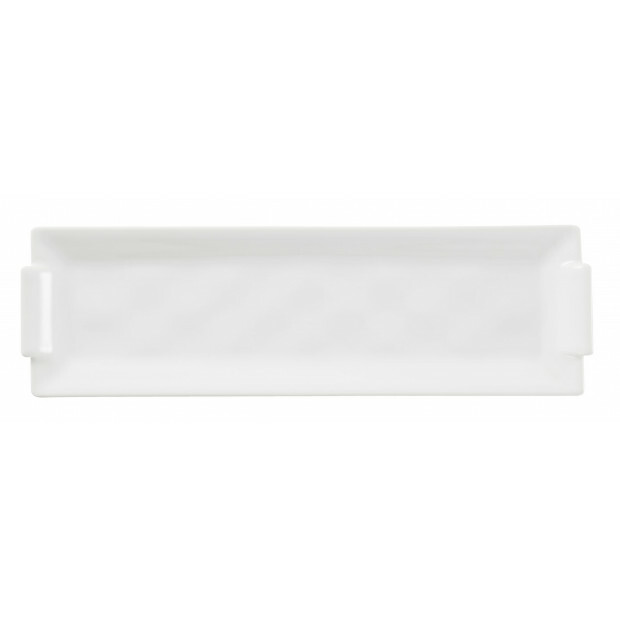 Long white tray 8.5 x 2.5 - this tray is perfect for sushi, small bites and appetizers. Oven and microwave safe. Dishwasher safe.